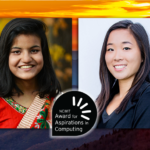 The National Center for Women and Information Technology (NCWIT) Award for Aspirations in Computing honors young women at the high-school level for their computing-related achievements and interests. Award recipients will be selected for their computing and IT aptitude, leadership ability, academic history, and plans for post-secondary education. 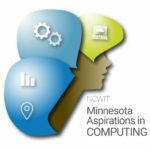 Minnesota Aspirations Award applicants will automatically be entered into the national NCWIT Aspirations Award competition. Step 1: Visit the NCWIT website. Step 3: Log in and apply. 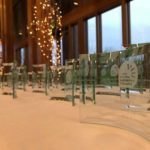 It starts with honorees and parents attending an awards banquet…..and ends with the young women walking out the door with numerous mentors to help guide their technology education and career aspirations. In our fifth ‘Where are They Now’ feature, we meet with Molly Andersen, a 2013 Minnesota Aspirations in Computing Awards honorable mention recipient from Mendota Heights. 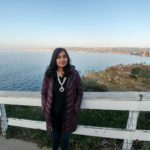 In our fourth feature, we meet with another extraordinary MNAiC Alumna, Ananya Mishra. She is a 2014 Aspirations in Computing Awards national honorable mention recipient and 2013 Minnesota state winner from Maple Grove, Minnesota. We meet with MNAiC Alumna Sarah Aladetan in the third feature of the “Where Are They Now” series. Sarah was a 2013 Aspirations in Computing Awards national winner and Minnesota state winner from Brooklyn Park, Minnesota. In the second publication of the “Where Are They Now” series, we meet with MNAiC Alumna Erin Mitchell, a Minnesota Aspirations in Computing Awards 2013 state runner-up and 2014 state winner from Lakeville, Minnesota. The #MNGirlsDisruptTECH campaign was developed to challenge young women in grades 9 to 12 across the state to embrace their interests and aspirations in computing, step out into the limelight and join the movement to disrupt gender equity in Tech by applying for the Aspirations in Computing (AiC) Award — winners from the state and national level are awarded life changing opportunities that include scholarships, internships, job shadow experiences, mentor relationship, resources and much more. 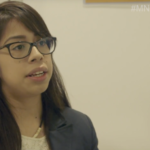 In the first publication of the “Where Are They Now” series, we meet with Minnesota Aspirations in Computing (MNAiC) Alumnae, Maria Sanchez Lopez, a 2014 Minnesota Aspirations in Computing Awards state winner. The powerful story of her accomplishments does not end at the recognition ceremony in the spring of 2014, it's just beginning! 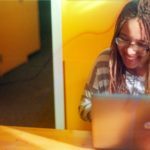 Young women from across the state with emerging aspirations and accomplishment in technology can now apply to be recognized at the 2018 Minnesota Aspirations in Computing award ceremony. Honorees will be awarded tech devices, internships, scholarships and more. Read the impressive biographies of the 32 accomplished high school women being honored April 18 at the 2017 Minnesota Aspirations for Women in Computing Awards. Two Minnesota students named national winners and six named national honorable mentions as program sees continued growth. We encourage young women enrolled in Minnesota schools in grades 9-12 to apply. Note: If in doubt about your readiness to be recognized, simply apply. You may be surprised with the outcome! All applicants are eligible, and will be invited to participate, in a variety of technology activities offered in the months ahead. This award celebrates and recognizes your leadership ability and academic history, along with your computing-related interests, aspirations and achievements. 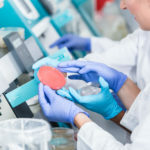 Aside from the scholarships, connections to employers and prizes, winning this award can be a life-transforming experience. Award Recipients are eligible for additional prizes, including Minnesota State Colleges and Universities and other higher education scholarships, tech devices, cash rewards, job shadowing opportunities and the grand prize … a paid summer IT internship at a Minnesota company or organization. IMPACT: What has the Awards done for past recipients? September 1, 2018: Aspirations in Computing High School & Educator Applications Open. November 5, 2018: Aspirations in Computing High School Applications Close. What should I include on my application? Review this file to help you gather all of the information you will need to complete your award application. 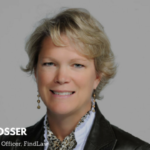 Help inspire the next generation of women technologists. Become an Aspirations in Computing Award Program sponsor. Learn more about sponsor opportunities, including donating prizes, sponsoring/hosting the awards event, providing job shadow and mentor opportunities to award recipients, and more.